Rabbi Abraham Cooper and Dr. Manfred Gerstenfeld: Sweden must confront modern-day Antisemitism……. – The Tundra Tabloids……. 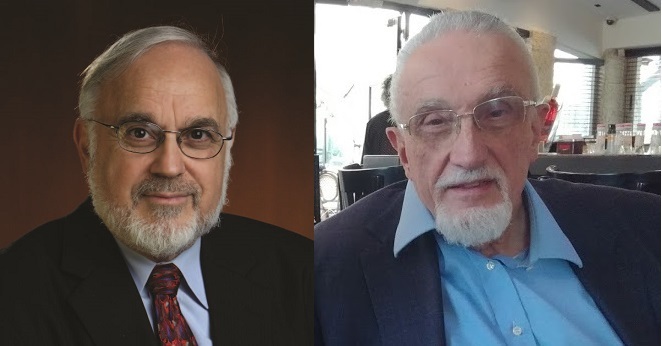 Rabbi Abraham Cooper and Dr. Manfred Gerstenfeld: Sweden must confront modern-day Antisemitism……. Dr.Gerstenfeld’s co-authored piece with Rabbi Cooper was first published at JNS, and republished here with the author’s consent. Sweden has announced plans for two new museums. One will address the Holocaust. The second will focus on the heroic Swedish diplomat, Raoul Wallenberg, who saved tens of thousands of Jews in Budapest during the Holocaust. The Second World War ended more than 70 years ago. Yet Swedish antisemitism has flourished over the past decades. We therefore suggest that the proposed museum enlarge its mandate to include antisemitism. In this way, the Swedish people would experience a “living museum” focusing not only on the dead, but the living. In confronting antisemitism the museum should use the International Holocaust Remembrance Alliance definition (IHRA) of antisemitism as a central pedagogical pillar. In fact, the IHRA was founded as a result of an international conference called in 2000 by then Swedish Prime Minister Göran Persson. He had declared that the “moral and political responsibility for what Swedish officials did—or failed to do—during the war years is something that we will always be forced to carry with us.” Persson’s initiative also led to the institution of an ongoing Holocaust education program, The Living History Forum. The Holocaust section of the museum should include an exhibit on Sweden providing refuge for Jews from Denmark and Norway during the war. It will also have to detail the collaboration of some of the most powerful and richest people, including the Wallenberg brothers (not to be confused with Raoul Wallenberg), with the German Nazi Third Reich. There should also be an exhibit that exposes the 260 Swedish volunteers who fought in the Waffen SS alongside the German Nazis. Several of them were Hitler’s bodyguards. One was even involved in executions in the extermination camp Treblinka. Swedish law ensured that none of these collaborators would ever stand trial—a shameful fact confirmed in correspondence between the Simon Wiesenthal Center (SWC) and Swedish prime ministers Ingvar Carlsson and Göran Persson. No wonder Estonian and Latvians war criminals found refuge in Sweden after the Holocaust. A special, major exhibit should focus on anti-Israel hate-mongering by leading Social Democrat politicians. Most prominent would be Olof Palme, Sweden’s best-known prime minister, who compared Israel’s acts to the Nazis; former Swedish Foreign Ministers Anna Lindh and Laila Freivalds; and current foreign minister, Margot Wallström. This exhibit would showcase their attacks, which single out Israel with hate-mongering, along with the libelous article from Sweden’s largest Social Democrat paper, Aftonbladet, which falsely accuses Israel of killing Palestinians to use their organs for Jewish patients. And, of course, curators should set aside a place to display the 2009 photograph of Social Democrat leader Mona Sahlin and former foreign minister Jan Eliasson attending a Stockholm protest against Israel where flags of the terrorist Hezbollah group were openly displayed. 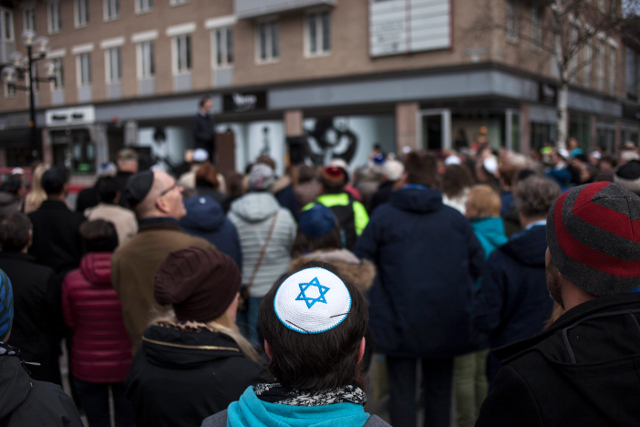 A museum on antisemitism in Sweden cannot ignore the fact that many experts consider its third-largest city, Malmö, to be the antisemitism capital of Europe. A section on Malmö should include the picture of shattered windows of the city’s synagogue after a bomb exploded there. It should also highlight Malmö’s former Social Democratic Mayor Ilmar Reepalu’s antisemitic remarks and refusal to take any action against anti-Jewish hate crimes, including the decade-long antisemitic bullying of the local rabbi. Malmö is not the only Swedish city with an antisemitism problem. The museum should acknowledge the Molotov cocktails attack against the synagogue in Gothenburg during a Jewish youth group meeting, in addition to Sweden’s failure to protect the tiny Jewish community of Umea, which was forced to disband in 2018 after attacks by neo-Nazis. Such callous attitudes and apathy did not happen overnight. The media has been anti-Israel in the extreme for decades, poisoning attitudes towards the Jewish state and Zionism. Decades ago, there were the broadcasts of Arabic translation of Hitler’s Mein Kampf on the state-subsidized antisemitic Radio Islam, run by extremist Ahmed Rami. Finally, there is the painful antisemitic scandal concerning the internationally respected hospital of the Karolinska Institute, near Stockholm. (The Institute annually awards the Nobel Prize in medicine). The SWC lodged a complaint with the hospital’s CEO when it became known that open antisemitism by a prominent supervising physician, was ignored by the hospital’s management for almost a year. Two Jewish physicians, both of them Israelis, had already quit for this reason. The hospital’s management reacted only after the media exposed the scandal. The controversy still rages on, where in any other civilized nation the Facebook-posting antisemite would have been fired the day after his bigotry was exposed. We have limited ourselves to just a few examples of Sweden’s Jewish problem, past and present. We volunteer at no cost to the future museum’s management to help make a number of additional suggestions to keep their exhibitions up to date. We are here to remind them that when it comes to hate, what happens in Sweden doesn’t stay in Sweden. Previous Post Previous Post Gatestone: Turkey Mourns Christchurch Massacre, Ignores Attacks on Non-Muslims……. Next Post Next Post Tyranny: Youtube essentially bans Tommy Robinson…….